The medium auto gate catch is ideal if you are looking to upgrade the security and efficiency of your garden gates and doors. 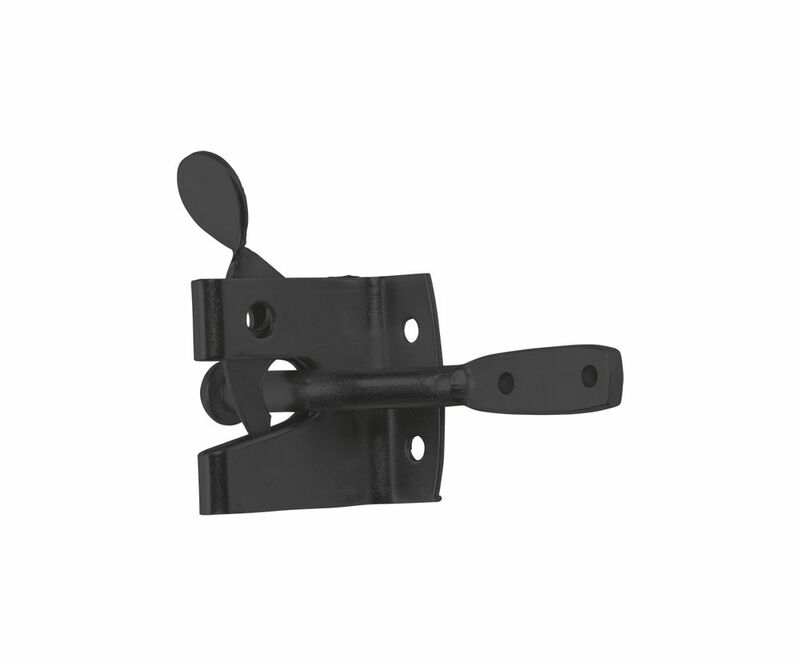 This piece of hardware ensures that doors and gates swing close and automatically latch behind them. Available in a smart powder-coated black finish, the medium auto gate catch offers moderate level weather resistance to repel the rain and to prevent the early build-up of rust. The size is ideal for medium-size wooden gates, bin storage doors, or garden storage with a medium-degree of usage. 2 x no.8 screws to fit the striker bar.